I have lived almost my entire life in Delaware. You know, “Del-a-where?”, the notorious state that is routinely mistaken for a much less important county in Pennsylvania (no harm meant, Delaware County). Despite the fact that most students have heard of the First State sometime during their education, few who are not from the East Coast truly know anything about the state. For me, it is home. And recently, one of the hallmarks of the Delaware summer (aside from our two NASCAR races) has become the Firefly Music Festival. I am fortunate to live ten minutes from the campgrounds for Firefly and have attended the festival for the past two years. As the summer music festival started to make a comeback in the United States, I could not be better positioned to take complete advantage. The abundance of music, good friends, delicious food and incredible experiences makes Firefly one of the highlights of my summer every time I go. This year, I was privileged to experience many legends of music, including Outkast, Foo Fighters and Jack Johnson, along with new and popular acts such as Imagine Dragons, Tegan and Sara, Chance the Rapper and A-Trak. Each and every show provided a unique, diverse taste of music. The diversity of musical experiences is one of the major drawing factors to the landmark summer music festival. My favorite acts ranged between genres and the experience of each was entirely unique. This year, my absolute most enjoyable experience was definitely at A-Trak. His heavy bass beats and amazing transitions were just so much fun to dance to! For a different experience, I also had an incredible time hearing the Foo Fighters play. They are legends of rock and – if it’s even possible – their music is better live. To top it all off, they’re hilarious as well. Watching them power through their three hour set was one of the most powerful performances I have ever seen (rivaling Beyoncé at Made in America and the Red Hot Chili Peppers at last year’s Firefly). The best surprise performance for me was American Authors. I had heard their music, but didn’t expect their energetic performance and engaging lead singer. The music is always the best part of Firefly, but there are always so many other great things. The food, while it burned a hole through my pocket, was some of the finest extra-greasy, calorie-loaded cuisine I’ve ever had. In fact, there were some funnel cake fries (I love funnel cake) that I don’t think I’ll ever quite forget. Right up there with the music and the funnel cake fries though are some of the people I met. I don’t remember any of their names and I’ll probably never see them again, but there’s a level of community and utter joy in enjoying music, fun, dancing and a great time with complete strangers. I always tell my friends to keep their minds open – you meet some extremely interesting people at music festivals. 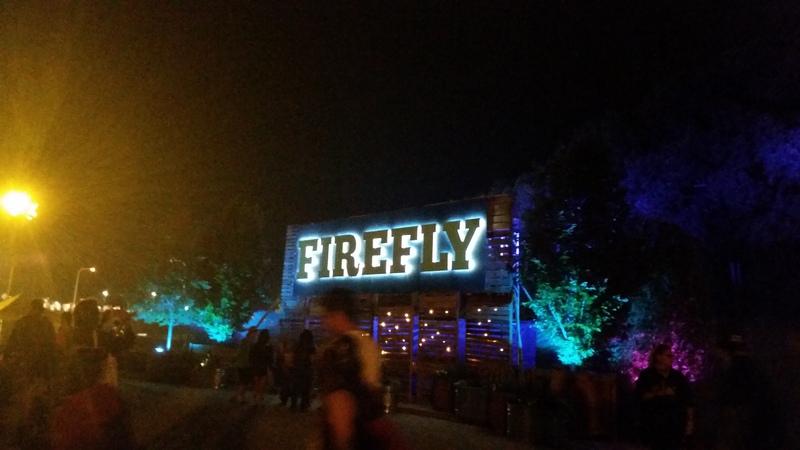 Overall, Firefly is consistently one of the highlights of my summer. The simple four day escape into a world where nothing but music matters is a welcome break from the sometimes strenuous pressures of daily life. I would highly encourage everyone to enjoy America’s new summer festival trend and fall in love with music and dance. Tl;dr: Firefly is awesome. Go to a music festival! Pratyusha, originally from Dover, Delaware, is a member of the M&T Class of 2016. She studies Computer Science within Penn Engineering and Finance in the Wharton School.